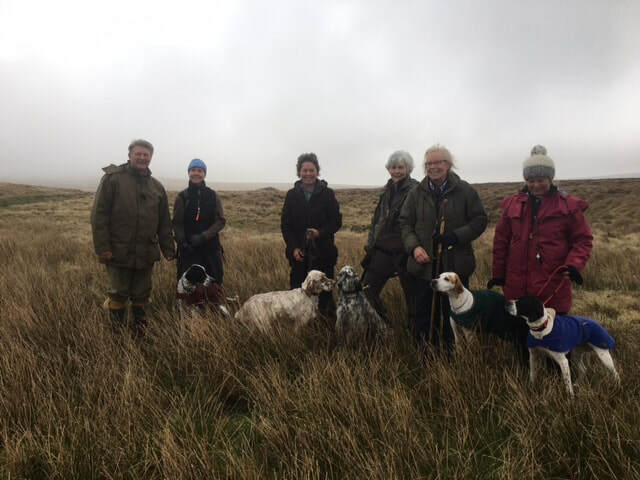 15 participants and their dogs 6 Pointers, 4 Gordon Setters, 3 English Setters & 1 Red & White Setter met up with the trainers at Langdon Beck Hotel. Following introductions and a general overview of the day we all headed up to the hill. The weather was dull and misty with a strong wind. The mist lifted as the morning progressed and visibility remained good for the rest of the day. The groups split and went to different areas of the moor enabling everyone to work downhill into the wind. 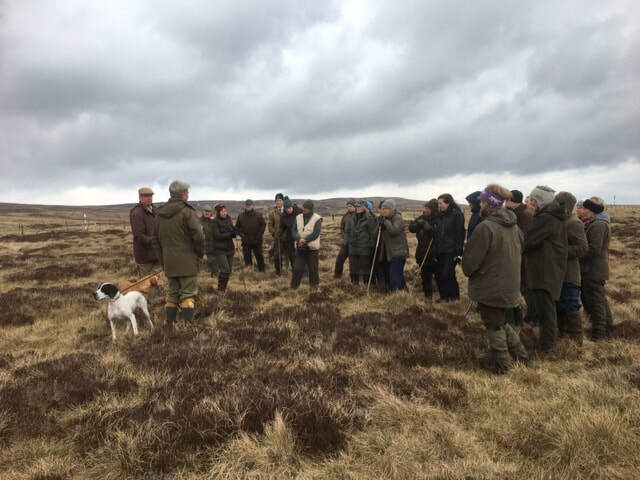 General moorland and grouse management was explained followed by basic training principles. Practical application was then employed and all the dogs were able to have a couple of runs in the morning. 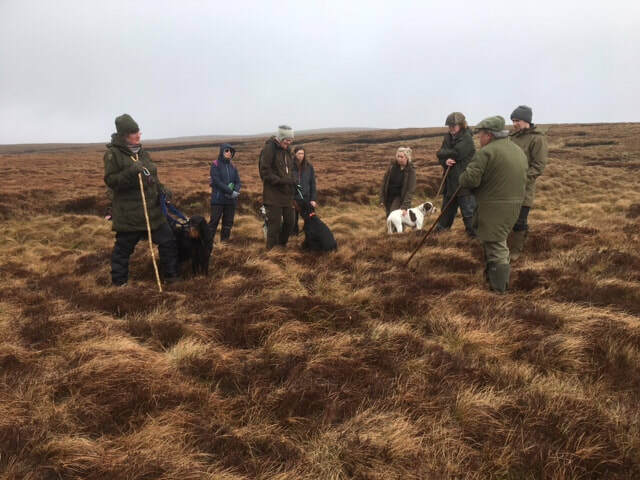 After lunch back at the cars the group headed out to watch a demonstration of quartering and game finding by two pointers. This was complemented by commentary from the trainers in the gallery. 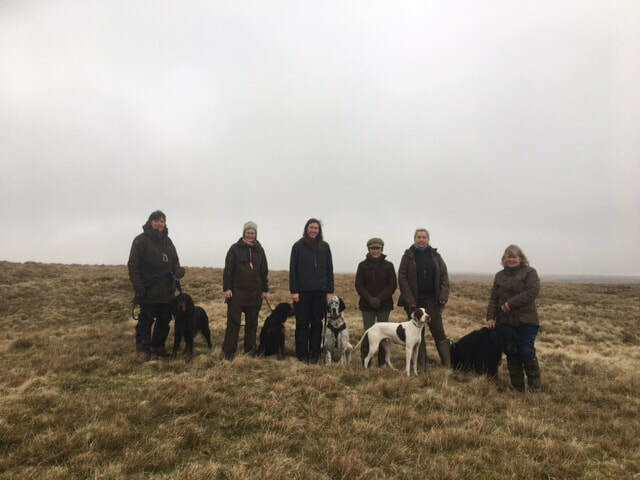 There followed another opportunity for the handlers to run their dogs once more on the hill and revisit what they had learnt in the morning. The training ended just as the heavens started to open & we all headed back to the hotel for a welcome hot drink! Thank you to everyone that supported the day. 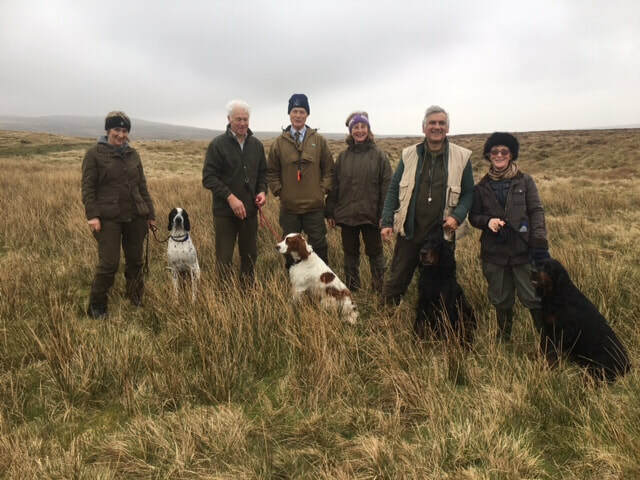 Special thanks to Yad Moss Moor Shoot, represented by William & Elaine Town, Charles (head keeper), Lauren & Robert & thank you to the trainers Steve Lound, David Hall & Carole Brown and Fiona Kirk for her superb organisation.